New car sales in Ireland are up a very impressive 28% year-on-year in April to 7,863 registrations, meaning the year-to-date total is now up 27% to 57,777 units. In the models ranking, passed by the Nissan Qashqai last month, the VW Golf reclaims the pole position it holds year-to-date thanks to 358 sales and 4.6%, with the Qashqai down to #2 at 319 units and 4.1%. 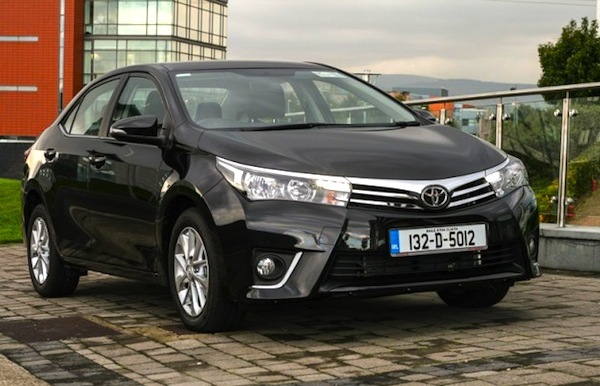 The Toyota Corolla for its part is up 7 spots to land in third place with 259 sales and 3.3% and now ranks #6 so far in 2014 vs. #20 over the Full Year 2013. Notice also the Renault Clio stable at #7 vs. #13 year-to-date, the Dacia Duster up to #13 vs. 20, Dacia Sandero up to #14 vs. #50, Toyota RAV4 up to #15 vs. #28 and Hyundai i10 up to #17 vs. #49. Full April 2014 Top 50 models and Top 30 All-brands Ranking Tables below.